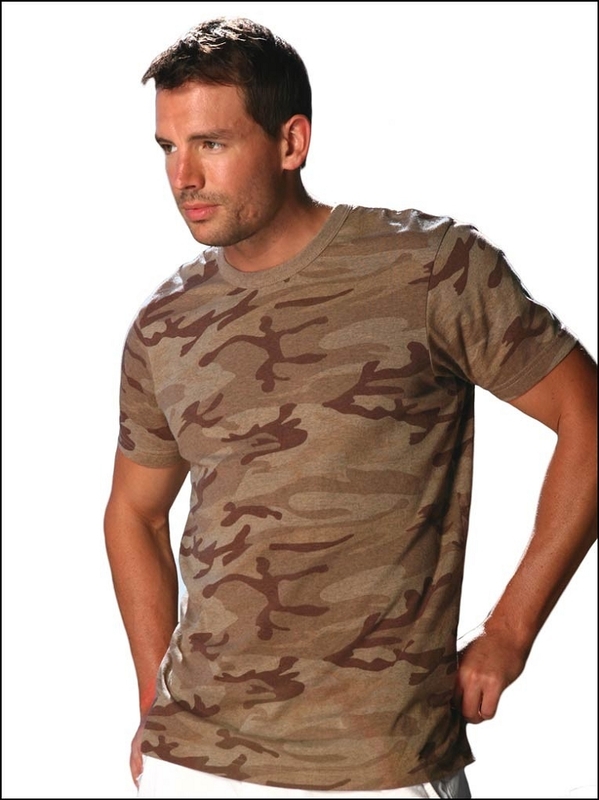 Command everyone's attention and show your tough side with our muscle fit, cool and hip camo. With a nice vintage vibe, you and this tee are sure to stand out from the crowd. Cross dye heather jersey, 60% cotton 40% polyester, silicon wash, preshrunk. 4.2 oz/sq yard.